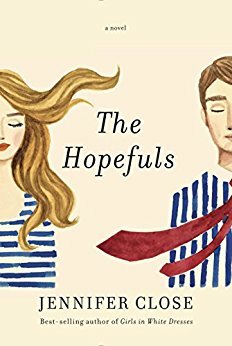 Jennifer Close is the author of the novel The Hopefuls. She also has written Girls in White Dresses and The Smart One. 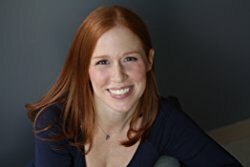 She teaches creative writing at George Washington University, and she lives in Washington, D.C.
Q: Your book focuses on a young couple who move to Washington, D.C., at the start of the Obama administration in 2009. How important is setting in your novels? 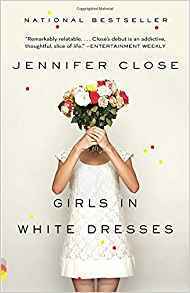 A: My first book, Girls in White Dresses, was set in New York and that played an important part in the lives of the characters. New York can seem so big and overwhelming at times, but it’s also just so exciting and tons of fun—especially when you’re young and new to the city like my characters were. 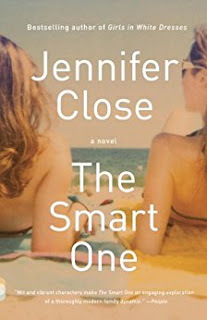 My second book, The Smart One, was set in the suburbs outside of Philadelphia and I think it probably could’ve taken place in any sort of similar suburb across the country. But for The Hopefuls, the setting was like another character in the book. Washington, D.C. is such a strange and different place because everyone here (or almost everyone!) is working in politics so there’s this singular energy and drive that I don’t think you find anywhere else. It also feels more transient than other cities because so many people come and go with the different administrations. When I first moved here, I was fascinated by these parts of the city and I really wanted to capture that. Q: How did you come up with the book's title, and what does it signify for you? A: The book was originally titled Southern Efficiency from the JFK quote, “Washington is a city of southern efficiency and northern charm.” But as we got closer to publication, everyone felt that didn’t really capture what the novel was about. We brainstormed a lot of different titles and my editor, Jennifer Jackson, was the one who came up with The Hopefuls. It’s funny, because at first I wasn’t sure about it (I was still stuck on Southern Efficiency) but then I realized it was actually perfect. These characters worked on Obama’s 2008 campaign and then in the administration and they were part of this whole group of young people who got their start in politics this way. This group of “hopefuls” were so inspired by the message of Obama’s campaign that they continued to want to work in public service. But I also like how the title refers to the personal lives of the characters—the hope they had for what their lives would look like and the hope they try to hold onto when the reality doesn’t quite match up to what they imagined. When I looked through the book, I realized how many times I say the word “hope” and “hopeful” and it just all seemed to fit. My editor is basically a genius! Q: Your character Beth is not fond of Washington, D.C., when she first arrives. What are your own feelings about living in the city? But the city has grown on me over the years. It’s also changed so much since I’ve been here—there are whole neighborhoods that have popped up and more restaurants and shops all over the place. I also have a great group of friends here so that (of course) makes the city more appealing! Q: What do you think the book says about the impact of politics on your characters' lives, and do you have any particular favorites when it comes to novels that focus in some way on politics? A: I really loved writing about the way that politics influenced these characters. There’s a certain amount of power and prestige that you get working at the White House and I think some people can almost get addicted to it. I wanted to explore the relationship between the “showy” side of politics and the working side. How important is it to be able to charm people and to give a good speech and why as voters do we put so much value on that? I read All the King’s Men in college and it’s stuck with me for years. I also read Primary Colors years ago and was delighted at all of the drama that happens on a campaign. American Wife by Curtis Sittenfeld is one of my favorites and I love that we see the politician through the eyes of his wife who is such an entertaining narrator. A: I’m working on a novel about a family-owned restaurant and it’s been really fun to shift topics and write about food instead of politics! A: I always like to tell people what I’m reading and there are three amazing novels coming out this spring that I’m so excited about! Marlena by Julie Buntin is a debut about teenage girls and friendship that blew me away. Saints for All Occasions by J. Courtney Sullivan is a beautiful story about two sisters who come to America as teenagers. Anyone who loves a great Irish Catholic family story will devour this! And Standard Deviation by Katherine Heiny is this emotional and hilarious debut novel about marriage. Her first book Single, Carefree, Mellow is so brilliant and funny and I’ve been eagerly waiting for this novel for years—and I’m happy to report that it was well worth the wait! I’m going to be recommending these books to everyone I know this spring and I suggest that you go buy them immediately! --Interview with Deborah Kalb. Jennifer Close will be appearing at the Bethesda Literary Festival on April 22, 2017.